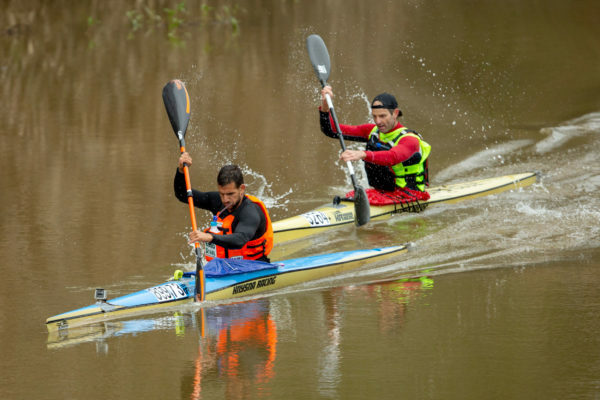 Bridgetown – The imperious Bamboo Warehouse team of Graeme Solomon and Adrian Boros strengthened its grip on the overall lead after the pair put in a flawless display on the second day of the Berg River Canoe Marathon extending their lead to over 10 minutes on Thursday. The 32km stage was always going to be an exciting fight with chasers Keith Moule of Great Britain and Joep van Bakel of the Netherlands in need of a faultless day of their own to try and catch the leaders, however that was not to be as they surrendered the control of the race after critical errors in the closing stages. The tactics from Bamboo Warehouse were clear when they powered off the start line with a lead of a minute 40 seconds over the internationals. From the get-go it was about compiling as a big a lead as possible, which is exactly what they did. The dynamics of team racing have been spoken about at length with Boros only arriving a few days before the race started, however his partner Solomon is full of praise for the team-based race. “The fact that people are going to create bonds through this format is one of the great things about it. “You have to look after each other all the time. It is a totally different dynamic in that when we were coming through a tricky section and I would hear Adrian’s paddle hit a tree I would check to see if he was OK! “But last year I would be celebrating quietly if he was stuck so it is a bit strange but I think that it has been a great change,” Solomon mentioned. The challenge for the top step was only going to come from one place and Moule and Van Bakel knew that they had to be on top of their game on the second day. It was going well for the duo until the final quarter of the stage. 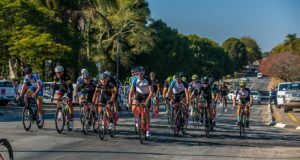 “We knew that they were going to go hard from the start and we thought that maybe if we had a good day and they made a few mistakes then we could make up the time, but I think we saved all our mistakes for the last ten kilometres! Over such a fast-paced stage any mistake is amplified by the time lost and unfortunately for the Brit and his Dutch team-mate their problems were compounded by a flawless display from the leaders. 2017 saw Moule shoot the Drie Heuwels weir in a boat that was split at the seams and 2018 saw him take a swim, which cost them valuable time. “Whenever I have tripped that section in the past it has been fine! I think I just changed my line slightly at the top and it was the last thing I needed at that point of the race!” he mentioned with a smile afterwards. Coming home in a close race for third was the overnight bronze medal position holders Gavin White and Bartho Visser. 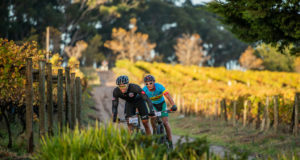 The pair have spent the entire race with the team of Anders Hart and Jermaine Pietersen and at the end of the second stage managed to pip them in an end sprint to hold a five second advantage. Bianca Beavitt and Crispin Thompson consolidated their mammoth lead in the mixed doubles race but dropped down the race leader board slightly to finish Thursday’s stage in ninth position overall. The Change a Life Capensis pair of Mthobisi Cele and Mpilo Zondi were at the consistent best as they paddled to another fifth and maintained their hold on the Under 23 crown while the pair of Malvino Klaase and Angelo Smith remain the strongest Under 18 pair in the race after the second stage. Friday’s third and longest stage, the Queen Stage, will take the paddlers 75km from Bridgetown to Zoutkloof on Friday.